If a member of your family in Florida has died because of the negligence, or intentional conduct, of a third party, you may be able to pursue what is called a wrongful death lawsuit. There are some essential elements associated with this type of legal proceeding that you need to understand up front in considering what course of action to take. Who Can Pursue a Florida Wrongful Death Lawsuit? A lawsuit based on the negligent killing of a family member, through negligence or intentional conduct, can be brought by the representative of the deceased family member’s estate. If a person dies with a will, that representative will be identified in the will and is called an executor. If there is no will, a court will appoint a personal representative for the estate. Certain relatives are capable of recovery financial compensation through this type of lawsuit. They are the deceased family member’s spouse, children, or parents. In instances in which the deceased family member’s siblings depend on that individual for support, siblings can also receive compensation in this type of case. When Does a Lawsuit Need to be Filed? As is the case in all states, Florida has a law called the statute of limitations. The statute of limitations sets the time frame within which a lawsuit seeking damages for the death of a family member must be filed. In Florida, the lawsuit must be filed with a court within four years of the date the family member died. If a lawsuit is not filed within that timeframe, a family member is likely to forever be precluded from taking legal action to obtain compensation for his or her losses. A person is precluded even if the losses associated with the death of a family member are significant. What Type of Compensation is Available in a Lawsuit of this Nature? In some cases, a surviving family member may be able to make a claim for what are known as punitive damages. Punitive damages represent additional compensation to a family member. Punitive damages are also designed to serve as a form of punishment to the party that caused the death of a family member. 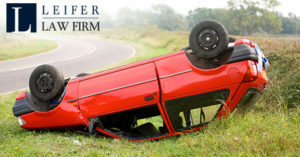 Punitive damages are also available in a personal injury lawsuit in Florida. The first step to retain a wrongful death lawyer in a case of this type is to schedule an initial consultation. An initial consultation provides a Florida lawyer the opportunity to evaluate a case. In addition, it provides you the opportunity to ask any questions that you might have of legal counsel. As a general rule, there is no cost for an initial consultation. What is known as a contingency fee is normally used in this type litigation. Through a contingency fee arrangement, a client pays no attorney fees unless and until a lawyer obtains a settlement or judgment in his of her favor. The specifics of a free arrangement are agreed to at the commencement of representation by legal counsel, and are put in writing. Related Blog: How Does a Wrongful Death Claim Work?